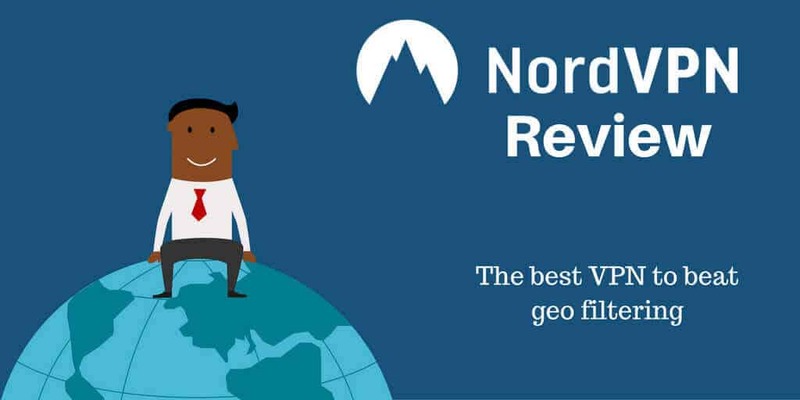 NordVPN Review 2019 - Best VPN Service? 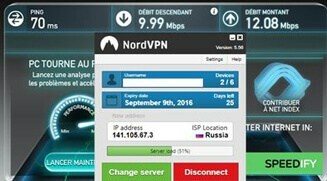 Is NordVPN good? Well, this VPN ranks highly for its focus on privacy, and in many polls, it comes close to always being in the top 5. The question is, is it really as good as it makes out and does it deserve to have these rankings? Any VPN that is at the top of the leader board needs be excellent in all departments rather than hitting in some areas while falling well short in others. NordVPN Australia has to perform as well as others regarding remote support and speeds over such long distances. With many improvements the company has made and the fact it is out of reach from most governments, have they done enough or are they still lacking in any area that prevents them from reaching the top? Is this the VPN service for you? One of the main features with NordVPN is the number of servers which is currently a little over three thousand which covers sixty-one countries. It also offers support for six simultaneous devices. With this though is a quirk that if you connect two devices to the same server, different protocols must be used. 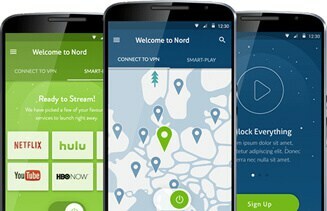 NordVPN smart play is another welcome feature. In a world where more VPN services are being restricted. You can now geo-spoof your location by resolving DNS requests to a specific area. This is a handy feature allowing you to stream content that is geographically blocked with Netflix being the prime example. Further on their quest to become the most popular VPN service they offer the double VPN feature which allows your VPN connection to connect to another server before passing to the internet. With this routing though, there is another performance hit, it does increase anonymity though. Tor over VPN is another strong security feature with advanced privacy and security. Your data using this method is routed transparently from your VPN tunnel and passed to the TOR network. You can produce a similar effect by connecting to a VPN while using a TOR browser which is actually more secure? While the company is based in Panama, it is well away from any 5-eyes country, although they do pass payments through CloudVPN which is a US-based company. User privacy is also heightened as the company quotes they never monitor, record or store any NordVPN logs for any user. A kill-switch is also included which can be set on a per-application level. This allows you to choose which applications are shut in case NordVPN not connecting as it should. This being said, if it is the client itself which has crashed, no applications will be disconnected as in a firewall-based kill-switch. NordVPN covers quite a few platforms including Windows, Android, Mac OS X, and iOS. For each comes to a custom app with manual set-up guides in case you find NordVPN not working after installation. Installations in these guides (although basic) cover Linux, Blackberry 10, Raspberry Pi and Chromium along with various routers and some NAS devices. If you want a fully configured router, these can be pre-purchased with NordVPN installed and configured. 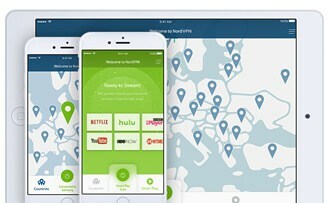 With regards to a free VPN, NordVPN offers a 3-day trial which although not long does allow you to get a taste of what they offer. As well as streaming being covered and both Netflix and BBC iPlayer working, torrenting and P2P file sharing is allowed. Ease of use on an excellent VPN service should start with the sign-up procedure. This is straightforward and only needs a valid email address (this can be a disposable one). You can pay in Bitcoins which further enhances anonymity, but if you pay by conventional means, NordVPN will still be aware of your payment details and private information. Once the sign-up procedure has been completed, and you have responded to the confirmation email. The client can be downloaded immediately and installed. Once the installation has been completed on the windows client, you presented with a location map of the servers and a list of uses which include Streaming, security, P2P, and anonymity. These are selectable, and for newer users, there is a connection wizard which you can use to run you through the entire process if you are unsure how to use NordVPN. NordVPN torrenting is well catered for as the servers which are placed in countries which allow P2P file sharing are optimized, so choosing this option when downloading will give you the best possible performance. NordVPN works well straight out of the box. Most apps on varying platforms is a matter of selecting the service and then hitting the connect button. This for most users is as much as you need to do and only really gets technical if you need to change protocols for additional users. The website is also kept very simple and clean and gives information on server status. This can help if you find speeds are low on any of the specialized servers, and it can be a matter of shifting to another to regain your connection speed. From here you can also work out what the peak times are for the primary servers which are handy. Attempting to work it out by how fast your connection seems at any given time isn’t the most reliable way. Now with over 3000 servers which are spread in 60 countries, coverage looks pretty much set for any location. Unfortunately, there are areas which are not as well supported as others. The remote reaches might have one or two servers if they are lucky and in no way have the coverage that Europe or the United States has. The speed of connections has been improved somewhat and as NordVPN uses shared IP addresses (better anonymity) speeds will tend to average out. This can also affect connections at certain times of the day. The more users you get a performance hit so any torrenting is better done outside of peak hours (whatever you can work these out to be) in your time zone. One area where NordVPN ranks highly are their security. With high encryption you are safe everything has been locked down as tight as it can be, which is a good thing. When you test for leaks, you might be pleasantly surprised there are not (if hardly) any. 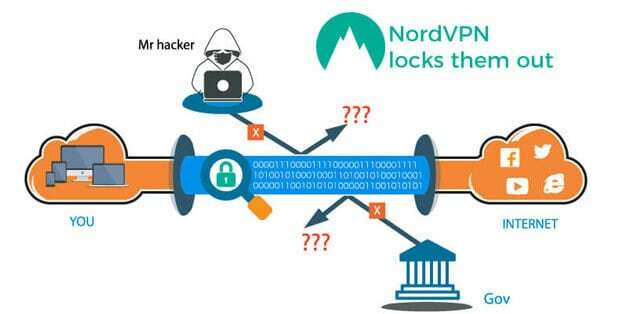 DNS leaks are stopped through Nord’s DNS leak prevention tool, and your IP address is never exposed in the many tests which have been conducted. It was much the same for any torrent address. Your real IP address is hidden and never exposed while the one shown is always on the server you have connected to when torrenting using NordVPN. When looking at performance, most reviews only concentrate on speed which is a significant point that determines users are signing up. We looked at support performance alongside this and NordVPN has a pretty good support system. Although it is available through a ticket system along with Facebook, email or Twitter, they do also have a live chat option. Whatever method you use to connect them in the eventuality that you have a problem, the response is nearly always quick. This is one area that previously let NordVPN down. They have upped their game and although not the best support compared to some. They are making strides in the right direction. With the raft of improvements that NordVPN has made in the past few months they indeed take their operations seriously. And with their base out of any monitoring jurisdiction, users can be safe in the knowledge their information won’t be requested by any government official who comes knocking. Server locations could be improved as far out of the way regions not being supported as much as other areas (Africa being one). Although their free trial is only 3 days they do offer a 30-day money back guarantee should you find that NordVPN isn’t performing as it should. Does it deserve to be at the top of the pile? When you compare NordVPN vs. ExpressVPN (especially for Australian users), on paper, it seems to be very close, however, unless you sign up for 2 years the NordVPN price is quite high. Even when the monthly cost is for a 2-year lock-in period NordVPN vs. PIA, still works out more. They offer pretty much the same for less. 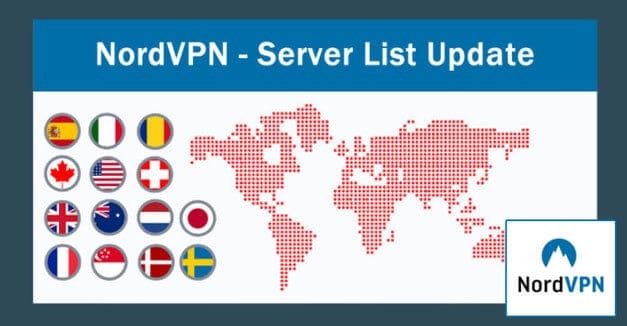 With all the updates that NordVPN continues to do a NordVPN review in 6 months’ time could tell a very different story. Saying that though, other VPN providers are not sitting on their laurels either, so NordVPN can’t just match what is on offer, it has to make a quantum jump and pass the other current best VPN’s on the market. Looking for more VPN reviews? Find a good VPN for you and your needs with our guide.